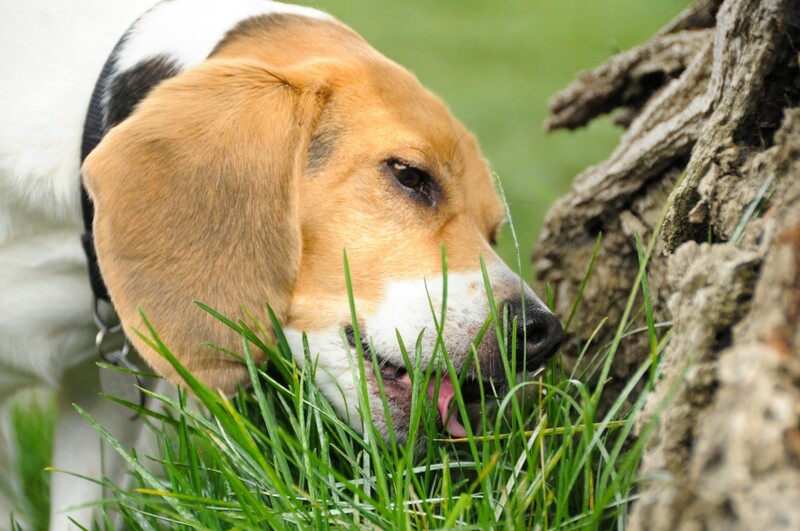 Poop eating, more properly called coprophagia, in dogs is a common issue pet owners face. The reasons behind this less-than appetizing behavior are mostly rooted in real behavioral wiring. If you think about your dog in the context of a wolf pack, it can start to make sense. While we know that your Shih Tzu isn’t a wolf, many of her behavioral cues come from far back in her ancestry. Dog species in packs work as a team to do many things, including cleaning up the den. In this context, poop eating is really a pretty normal behavior in the canine species. Female dogs in particular are prone to “clean up after the pups” as well as more submissive dogs in the pack hierarchy. There are also some legitimate medical reasons a dog might eat stool. Malnutrition, dietary imbalances, parasites, increased appetite due to systemic problems, anxiety issues, or a problem with proper digestion can all lead to coprophagia. Call us if your dog is eating stool, especially if it is a new problem, so that we can be sure that nothing more serious is occuring. Let’s face it. Poop eating it is a gross habit regardless of whether there is a legitimate reason for it. Besides bad breath, it isn’t sanitary and can put you and your pooch at risk in certain situations. It can also put your relationship at risk (who wants kisses from a poop-eater?). Poop eating in dogs is not the most desirable behavior, but it is a common one. Don’t forget that we are here to work with you to help stop the issue. Don’t hesitate to ask if you need help, we are happy to do what we can to support the bond between you and man’s best friend. Next: Ask a Vet: Are Dog Parks Safe?